A murder has taken place in the small town of Mapleton, CO and it has the town on edge. The story revolves around Sam and Rose's link to the murder but it feels more about Justin and Megan. The world the author has imagined is every burned out, and over worked persons dream...small town with a very relaxed pace. The time and imagination taken to walk us through the characters lives was a refreshing change of pace for me. We do have a romance in the midst of the story but it doesn't dominate or distract from the mystery on hand. 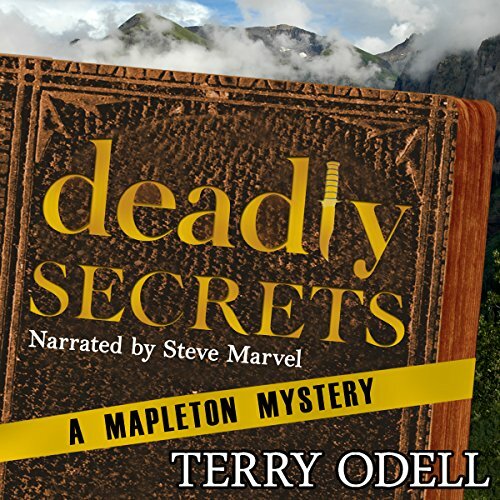 Steve Marvel does a wonderful job narrating the Mapleton Mystery! I really enjoyed how he brings each character to life! I hope for the future listeners sake that Odell keeps Marvel as her narrator for the rest of the books in this series. Great job to both of you! The story started off pretty good. The characters seemed engaging and I thought I was settling in for a good book. My opinion changed in Chapter 12. I pushed on to chapter 13 but I stopped at that time. The story moved slow and I lost interest. It has potential, but, I think Terry Odell should decide if he wants to write a mystery or a romance. 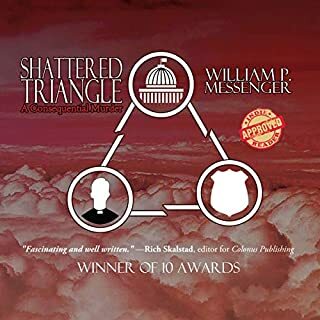 Gordon Hepler, is questioning his decision to take the job as Mapleton, Colorado’s police chief when suddenly there are two dead bodies found in and around Mapleton. Rose and Sam Kretzer, two of Mapleton’s beloved residents, somehow seem be connected the these mysterious incidents. Also at the center of everything going are Megan the Kretzer’s Goddaughter and their Grandson Justin both of which have recently arrived in town to visit. Megan is attacked and threatened and Justin is receiving suspicious phone calls about a journal that may be hidden and contain information about the Holocaust . Can Chief Hepler solve who is behind these killings before someone else is found dead? Is Justin involved than he is letting on? Is Megan’s visit the catalyst to everything that is happening? Deadly secret is the first official mystery book written by Author Terry O’dell. She previously wrote romance novels. 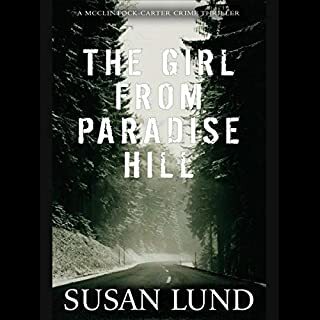 Although this book is classified as a police procedural she keeps true the her beginning by adding a touch of romance to the storyline. I enjoyed her combination of these two genres. 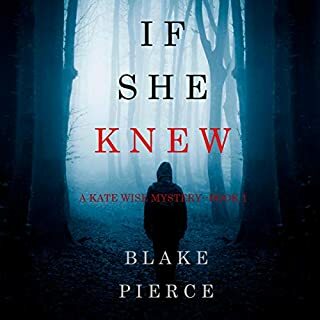 The book is well written, her characters are realistic, she includes just the right amount of red herrings to keep her readers involved in the mystery. Her characters range from young adults that are still trying to find their place in the world to senior citizens that have seen and lived though a lot and are still strong and outgoing people. I listened to the audio version of this book which was Narrated by Steve Marvel. Mr. Marvel did a great job bringing the story to life. He has a great tone of voice, great timing and pace, wonderful diction which defined each character’s voice. 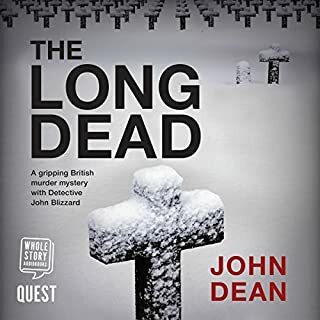 I would recommend this book both print and audio versions to anyone that enjoys a good mystery. I don’t really remember any bad language but there is a scene that involves adult relations so I would not recommend to anyone that is upset by this type of scene. 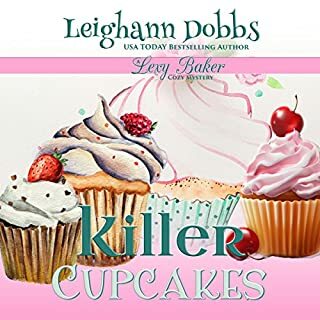 A great cozy mystery with creative plot twists and characters, this book was a really enjoyable read! It contains hints of intrigue and a dark past. The characters come across as very round, very real people. I also appreciate the fact that this book treats the cops in a positive light, with the main characters collaborating with the police, who certainly are highly competent, opposed to the police in most cozy mysteries. The reader did a great job too, making the book all the more enjoyable. 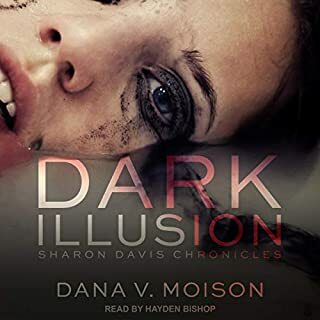 Disclaimer: I was given a free copy of this audio book with no expectation of my giving a review. However, it was so great that I would have gladly paid to get the book and look forward to buying the next in the series! Seemed to trudge along rather tiredly. I just couldn't get engaged with the storyline. The characters are interesting, though. The narrator also seemed affected by ennui. I got hooked on this series with the second book and had to go back and buy the first one. I look forward to reading/listen to the rest and am only disappointed to see that there are only 5 books.